Hino's truck range is even better value in 2013, with the addition of Hino Roadside Assist on all 300, 500 and 700 Series trucks* at no extra cost. Roadside Assist is now included in Hino's 'Total Protection' range of products and services and is available on all 2013-plated models. The roadside service is designed to get drivers back on the road as soon as possible in the event of a breakdown, flat tyre or simply running out of fuel. 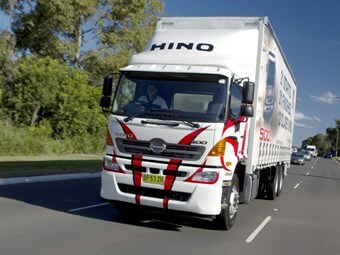 Hino Australia President and Chief Operating Officer, Steve Lotter, said that the inclusion of roadside assistance is all about positioning Hino as the best value brand of truck to own, as well as being the best to drive. "At Hino we're always looking at ways to make truck ownership more affordable for our customers, and we believe the peace of mind that roadside assistance provides will be warmly received by new truck buyers," said Mr Lotter. "And while Hino trucks are renowned for their reliability and durability, batteries and tyres can go flat and keys can go missing. "We understand that our customers have businesses to run and they can't afford any downtime, which is why we've taken the initiative to provide roadside assistance as a no-cost inclusion. "It's always best to be prepared for whatever may happen, and Hino Roadside Assist takes the hassle out of arranging emergency repairs," he said. In addition to mechanical services, Hino Roadside Assist provides towing and recovery, a message relay service to inform others of the driver's situation and a language interpreting service for non-English speaking drivers. The Hino Total Protection suite of products also includes Maintenance Agreements, extended warranty, a three-year unlimited kilometre parts and accessories warranty as well as Hino genuine oils and lubricants. Hino Roadside Assist is available to all private and government purchasers of new 2013-plated Hino 300, 500 and 700 Series trucks with manual, automatic or automated manual transmissions. 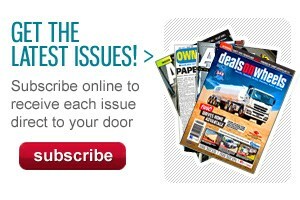 The offer is also transferable to new owners within the 36-month warranty period. Click here to find Hino trucks for sale. 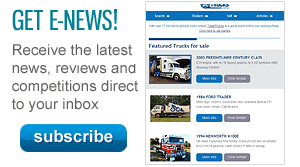 Click here to find new specs for Hino trucks.